If you are in business and want to reach people around Southampton then you need to be on ‘The Business’. 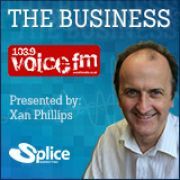 Every Thursday evening from 6pm, Xan Phillips hosts ‘The Business’ a three hour show on 103.9 Voice FM dedicated to spreading the word about business in Southampton and the surrounding region. It is a show that positively encourages people to promote their business news, putting forward their ideas and offer inspiration to others. 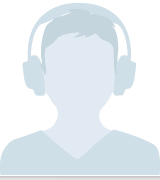 Voice FM broadcasts across Southampton and can be heard from Calshot to the M27, and from Rufus Stone to Bursledon. It is also available online via the website or apps like TuneIn. During the show you will hear news about, you guessed it, business! Both near and far, with a mix of guests and promotional opportunities like ‘The 30 Second Sell’ - a chance to speak about your company and reach out to new customers. The Business with guests Matt Bunday &amp; Andy Pilcox With Southampton's Bandstand Live in Palmerston Park, just around the corner we invited onto The Business two people who are involved in putting on the event. Matt Bunday (left) from MBE and Andy Pilcox from Southampton Solent University. In this interview they talk about festivals and what makes them special, plus take us behind the scenes on the Saturday of fun ahead of us. The Business with guest Shelina Permalloo Author &amp; TV Chef In this show we meet 2012 Masterchef Shelina Permaloo who is Southampton born and inspired by her Mauritian roots. She’s written two cook books, both with sunshine in the title and brought her rays of light into the studio where she talked about her love of food and what she is serving in her new restaurant Lakaz Maman Mauritian Street Kitchen. The Business with guest Rich Bulley from WB Safety &amp; Twyford Heath & Safety is the subject of this interview with Rich Bulley from WB Safety. Rich worked for local consultancy and saw the weaknesses off their offering so decided to branch out and join forces with Twyford HR y to develop. He also talks about his early days of business, what it is like to be involved in H&S and how other people react to it. The Business with guest Sebastian Graves from Enactus Solent In this show you’ll meet Sebastian Graves-Read, who is studying law at Southampton Solent University. He is also part of a society called Enactus, which is a global entrepreneurial society that aims to create sustainable solutions for vulnerable or disadvantaged people. Sebastain talked about two projects: Bright Horizons which alongside the charity No Limits aims to help young people improve CVs, interview techniques and gain other skills. The other project is Old 2 New, and will be launched in September. This works with the young people in YMCA to and teaches them to up-cycle old clothes and sell them on. Allowing them gain confidence in commercial interactions, while providing a source of income. The Business with guests from The Boutique Village The Boutique Village In this show, you’ll meet the people who have set up a business in Southampton’s Boutique Village, the massive retail space in Millbrook that has room for hundreds of startups looking to sell their products and put their first foot on the business ladder. The first guest is artist Donna Mcghie who started painting murals and has moved on to hosting workshops showing people how to sculpt using fabric and Powertex. Donna is then joined by Margaret Walsh who is a wellbeing coach and psychotherapist and uses The Boutique Village to not only sell her services but also pink Himalayan salt products that can help put mind, body and soul in balance. The third guest for Xan Phillips’ show is Lynda Pearce who has started a children’s party business Build a Buddy which she has begun to license out around the UK. All three have had to juggle family life with their businesses and offer some great tips and advice for people who want to follow in their footsteps. The Business with guest Fatima Zaman For anyone starting out in business this a great interview to listen to. Fatima’s passion for business shines through but when her homemade curry sauces started were becoming popular she found that passion didn’t quite translate to live business, especially when it didn’t rub off on her mentor. Fatima’s story begins with success in Spain, rejection in Granada and a solution in Southampton. She’s found it very similar to the experiences candidates in The Apprentice on BBC1. In fact it was tips and advice from that show which kept her going through the early days on her own in Spain. The Business with guest Mark Hartung This guest is angry about many matters. It is a controlled anger that Mark Hartung directs at the current UK government. They drastically cut the feed-in tariff for solar power, potentially making thousands of people jobless and destroying the growing solar industry. Alongside that they are allowing foreign governments to take ownership and control of large parts of the country’s energy system, including building a nuclear power station in Somerset. But Mark does have solutions and optimism. So if you are sitting on the fence about solar power and think that nuclear could the only solution then have a listen to the arguments put forward in this interview. The Business with Thomas Wright from Sue Ryder The Sue Ryder charity shops are well known in the Southampton region but Thomas Wright came in to blow our minds about the size of the store they have recently opened in Southampton, down West Quay, opposite Ikea. The building’s floor space is the size of a football pitch and chock full of furniture, electrical items and clothes. Not only are Thomas and his team very enthusiastic about what they do, but they have also seen a great opportunity to help people who are into ‘upcycling’ but can’t face the hassle of sanding and preparing the item. They call it ‘paint ready furniture’ and you can hear more about it in this fun interview. The Business with guest Katarina Willingham of Lemon &amp; Soul Award winning cook Katarina Willingham not only came into the studio to talk about her lovely food but also brought some samples in: salads and biscuits for people following a gluten free diet. Katarina runs the cooking school Lemon & Soul in partnership with former guest Simon Broadribb of Upton’s butchers. You can see why their fish, meat and baking courses are so popular as they both share a love for food that sparks enthusiasm in the listener. The Business with guest Tracy Nash from Hampshire Fare The longest food group in the UK and celebrating their 25th anniversary in 2016 Hampshire Fare are passionate about the benefits of buying locally and supporting the area’s talented food and craft producers. In the studio to enthuse about the 300 members was Tracy Nash, Hampshire Fare’s Commercial Manager. Tracy brought to the table news about the county’s gin and trout producers, the prestigious sausage and pie competition and also some local beers and apple juice she kindly brought in. Another great guest who managed to make the presenter very hungry. The Business with Guest Adrienne Marsden In this interview Adrienne Marsden explains how businesses can tune in to the local community and become more ethical and socially responsible. It takes moral courage to do this and also live up to the standard you set. When she reads out one of VW’s core values you begin to understand how important it is to practice what you preach. Whereas Lidl, she points out, have shown ‘moral courage’ by announcing that every member of staff will be paid a living wage. In their way, they have hooked into the idea of improving their relationships not only with staff but also their customers. Adrienne also explains how this attitude can be spread across your supply chain and by joining the Business Collective you’ll be displaying your ethical credentials to everyone.